T&S Window Screen Repair and Window Cleaning is the preferred choice for power washing in Orange County. We offer professional pressure washing to clean patios, decks, roofs, exterior walls, driveways, and more at highly affordable prices. We serve Yorba Linda, Huntington Beach, Anaheim, Fullerton, and all of Orange County, and can usually provide same-day service. As a testament to the quality of our service, we have thousands of satisfied clients and get the vast majority of our business through returning clients and referrals. Our power spraying is ideal for quickly removing dirt, grime, oil stains, water stains, mold, and mildew. We have decades of experience, and know how to effectively clean a wide array of surfaces, from tile roofs to flagstone, in order to achieve the best results. In addition to power washing homes and roofs, we can also clean your gutters. 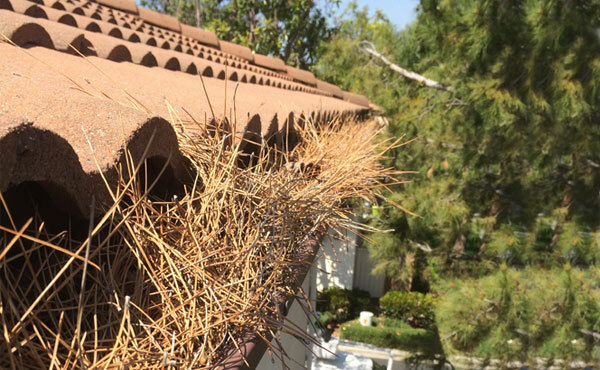 When cleaning gutters, we flush them with a hose and remove any debris by hand until they are draining smoothly. Every job is owner supervised, and we've been accident free for more than 25 years. 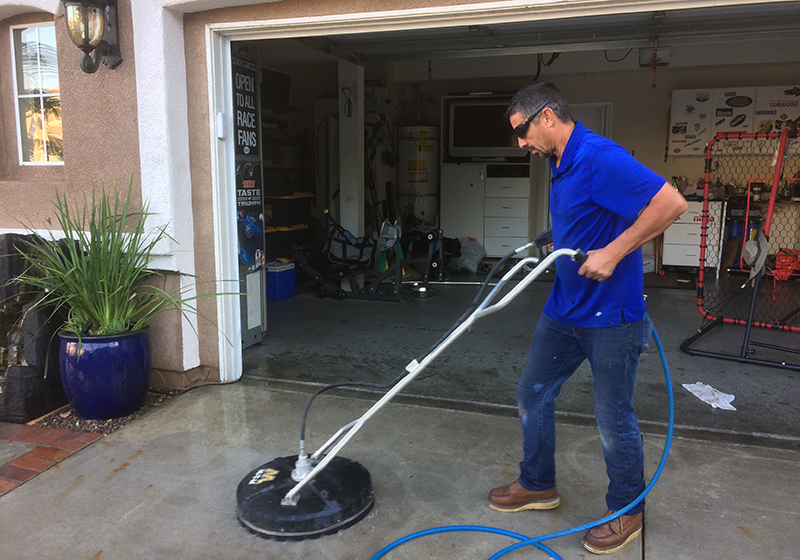 Whether you want a small driveway cleaned or an entire home or office building, call today for the best value in expert power washing services in Orange County. We have fully stocked trucks ready to be dispatched, and are licensed and insured. In Mission Viejo, we pressure washed this residential driveway for a satisfied client. 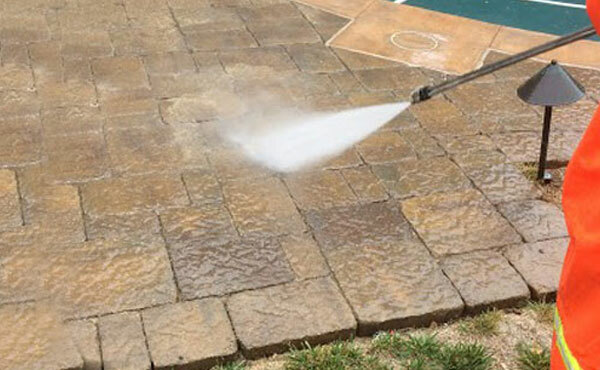 Our high power pressure washing system effectively removes dirt, grime, and oil stains from concrete surfaces.